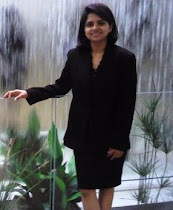 Technology Musings by Priya: What's Next.. "Lite Cloud"? I remember getting my first PC, back in high school days. A Pentium II or III processor with a black and white monitor, 512 MB RAM, 4 GB Harddisk (which was considered to be huuuuge in those days), 3.5 inch HD floppy drive (1.44 MB capacity) and a CDROM drive. It had Windows 95, MS Office 97, basic win applications and Dave (my favorite game to date). That system had cost us more than 5 times the cost of a PC with high-end specifications in today’s world! In those days internet cost a fortune too, for as little as 64 Kbps bandwidth, it was probably 10 times the cost of today’s fiber optics line. Who would have imagined that within two decades computers and internet would become so affordable? The Infrastructure industry has come a long way from desktop client-based architectures supporting single-user applications; then Server-based architectures for multi-user applications; then cloud-based architecture for multiplatform applications; to the latest Universal platform for multi-device applications. A couple of years ago, it was hard to imagine that same piece of code would be running on PC, tablet, Mobile, Xbox, IoT, and HoloLens. Such revolutions have challenged software techies at every step to reinvent the way code is written. Gone are the days when programmers had to optimize code to save every single byte of memory consumed; the days when processor couldn’t handle heavy-duty multithreaded tasks (the exception being that of mission-critical, realtime, embedded systems etc.). Today developers have Terabytes of memory at their disposal, with extremely fast processors. That’s tremendous evolution! 49% of businesses are delaying cloud deployment due to a cyber security skills gap. Apparently, Cloud adoption will reach very high peaks as more businesses start moving to the cloud. I was looking into AWS, MS Azure and Google’s current offerings for cloud platforms. Any technology which can reduce operational costs or improve security will be of huge benefit. I am sure there are many products out there focusing exactly on this area. 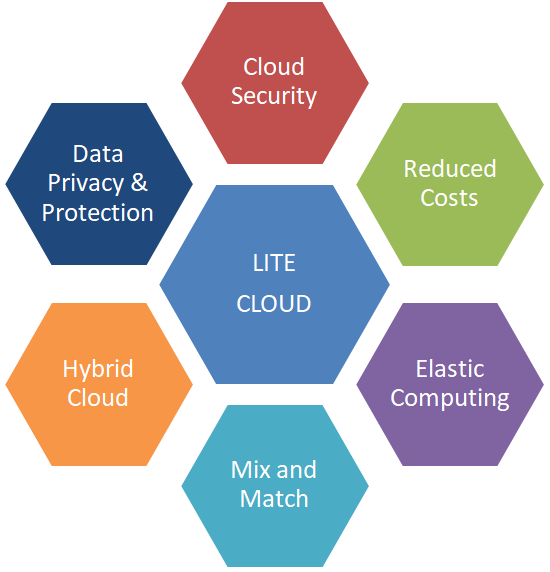 I was wondering what might be the next thing in cloud computing; and few ideas clicked my mind and I termed it as the “Lite Cloud”. A cloud hosted virtual machine instance with minimum dedicated memory. It decouples the running instance from its actual storage location (which might be a separate cloud/on-premise server). Such decoupled architecture might be needed for applications dealing with Big Data. Cloud instances which need not have dedicated VHD/volume attached to it. 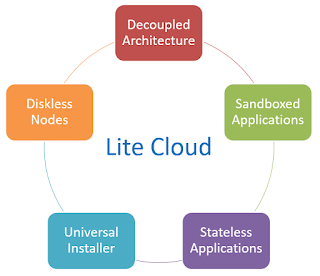 The applications can dynamically link to store and retrieve data from any storage device (either hosted in the same cloud or on-premise or on a different cloud) via socket connection (internet), shared storage etc. Next generation installers capable of reading any source format and installing directly on the remote systems or locally attached devices. When the software gets installed, the universal installer diverts the calls to the remote system (either hosted on the same cloud, or on-premise or on a different cloud). With fiber-optic links, speed wouldn’t be an issue in future. Each running app is wrapped in its own sandbox. This acts as a shield protecting the app from cyber attacks (which is of greater significance for cloud-based machines). Imposes two-level data security, first on the VM instance and second time on the storage server. It’s better to impose thorough security checks on one file server instead of each cloud instance. Apps are dynamically linked to data stored in a separate location on dedicated servers (can be in cloud or on-premise). 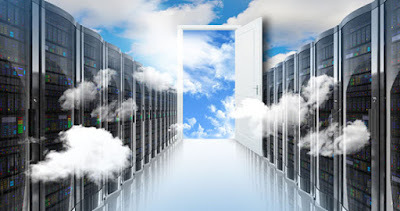 On-premise file servers are beneficial to store sensitive data and apps. This reduces the cost as you don’t need dedicated VHD (virtual hard disk) attached to each of your cloud instances. Cloud providers can allow multiple users to share the same VHD. I am not sure whether AWS, Google or Azure offer such an option yet, but it’s not a bad idea to reduce costs (I think). 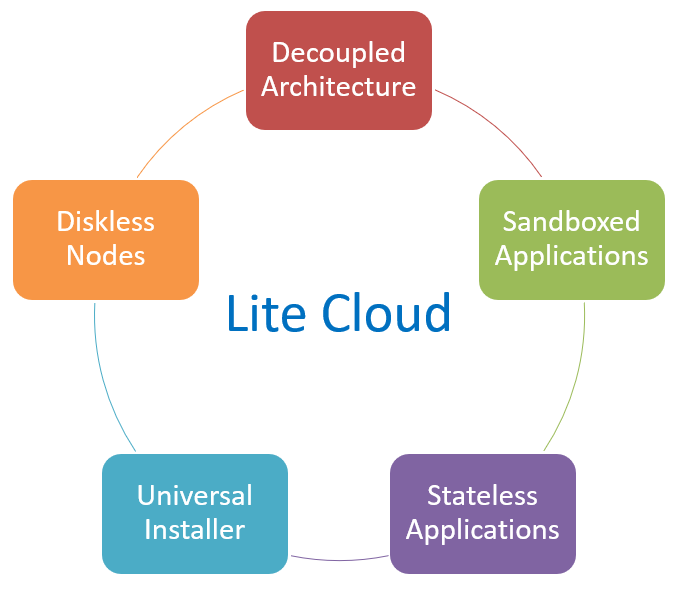 As Lite Cloud converts apps to be stateless, this is a perfect design for Elastic computing architecture. It also boosts scalability. Decoupling execution from the storage makes it easy for organizations to retain sensitive data/applications on-premise while linking it to cloud-based applications at the same time. That’s what I had in mind. 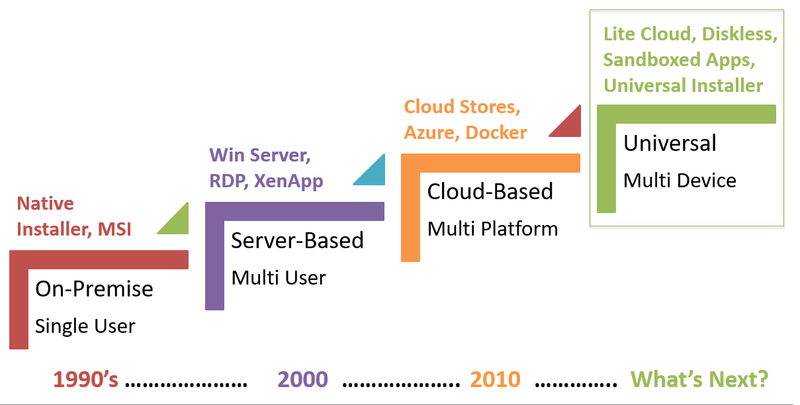 As I said, these are purely my thoughts on what future cloud solutions might look like. Feel free to share your suggestions on this. Stay tuned!